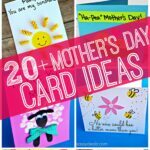 I am so in love with this idea! (yes, it’s mine LOL!) 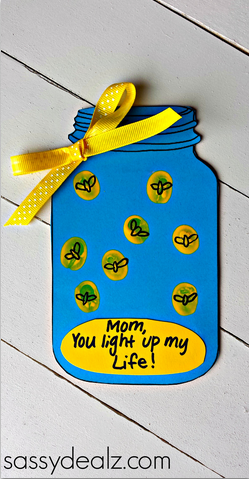 Have your kids make this adorable Mother’s Day card that is shaped like a mason jar filled with lightning bugs. 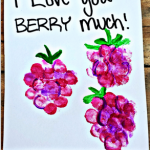 The whole card is “made” by having the heart warming quote “You light up my life” at the bottom. 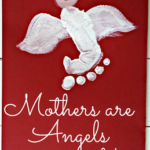 I think ALL moms would love to recieve one of these! 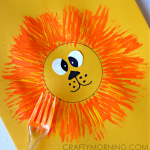 You will need a printer, paper, yellow paint, a black sharpie, ribbon, and glue to make one! 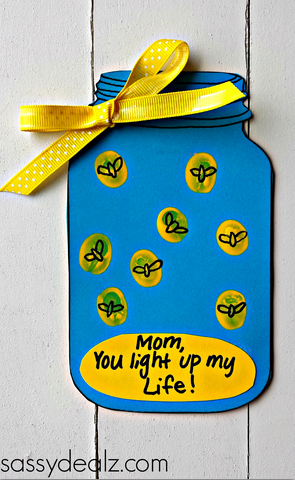 After the kids cut it out, have them cut an oval out of yellow paper and write “Mom, you light up my life!” on it. 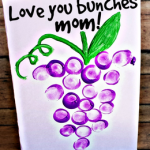 Then have them dip their pointer finger in yellow paint and stamp dots all over the jar. 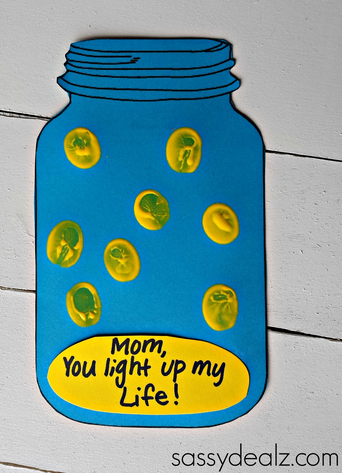 After the yellow paint dries, give them a black sharpie to draw little lightning bugs in the fingerprints so it looks like the bugs are glowing. 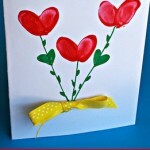 Add a pretty yellow polka-dot ribbon bow to the top of the mason jar and you’re done! LOVE THIS! We made them Thursday/Friday in my 1st grade classroom! I did a blog post about them, which is scheduled to go live tomorrow, Monday, May 11 at 6:00 a.m. Check it out! I linked back to you! <3 Thanks so much! Thank you for such an easy to make idea. 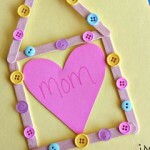 Using it with the children to make cards for their grandma for Mother’s Day! This is so adorable!! 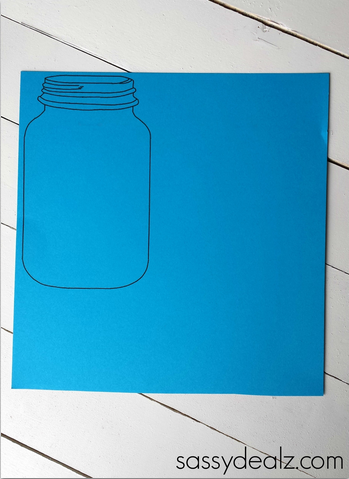 I just printed off a bunch of the jars to make for all the Moms and Grandmas in my family for this Mother’s Day. My toddler will enjoy putting his finger prints all over them, thanks so much! !